I’m always up for trying something new when it comes to my skincare routine. 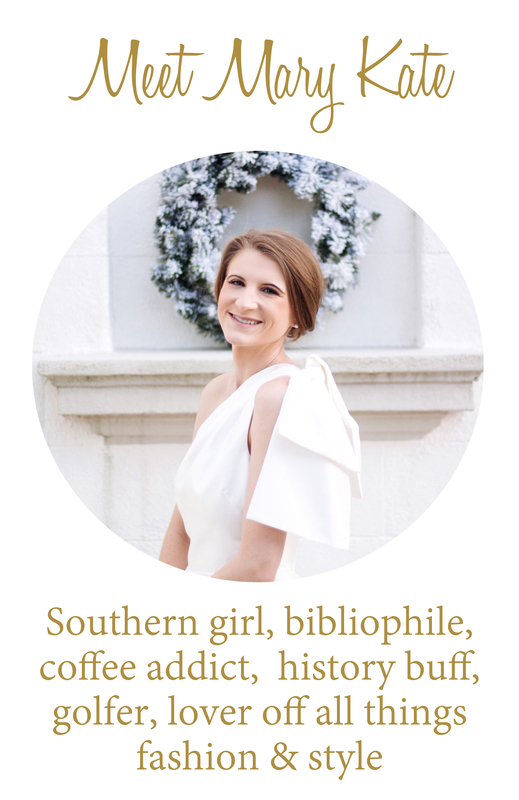 Over the past year, I’ve shared with y’all my favorite facial products and cleansers that have helped keep my skin fresh and clear. 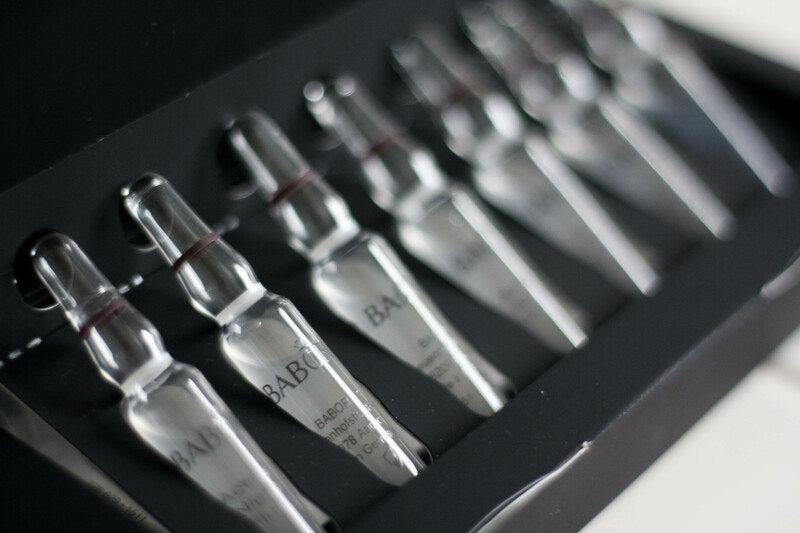 So when Babor asked if I would try their revolutionary Ampoule Concentrates, I said why not! Babor’s Ampoule Concentrates are basically one of the easiest skincare products I’ve ever used. 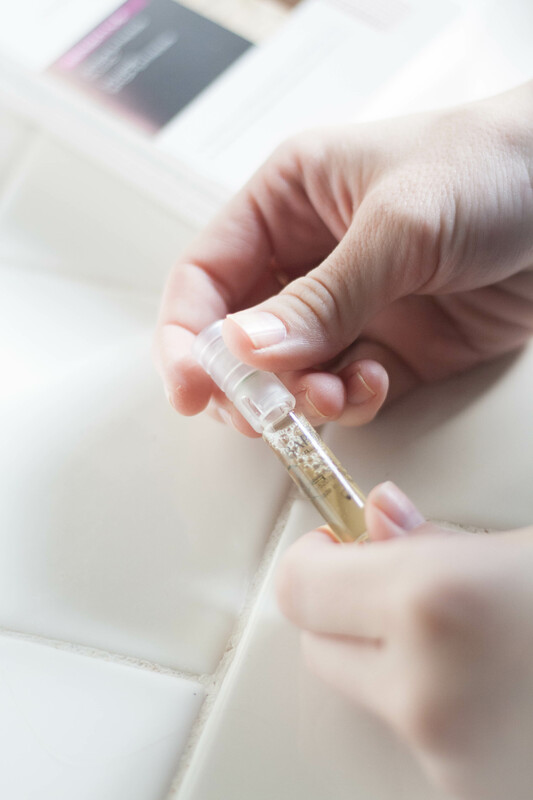 The concentrate is packaged in a small, glass ampoule vial that is single-use so you use the perfect amount of product for your face and neck every time. Each package of ampoules includes a plastic cap. To open, slip the cap over the top of the vial and firmly snap the top off at the lowest colored band. Pour the fluid into the palm of your (clean!) hand and gently rub over your face and neck. Let dry then apply the next concentrate. And you’re done! You currently can choose from 11 different Ampoule Concentrates that are each formulated for a different skin concern. I used the Purifying Active Fluid, the Stop Stress Fluid, and the Active Night Fluid all together for a week to see the difference in my skin. I will start with the Active Night Fluid since it was my favorite. The formula of the night fluid is meant to refresh and plump your skin while you sleep. After using it, my skin felt softer and firmer than before. To be honest, it just felt amazing to apply at the end of a long day of wearing makeup. The scent is refreshing and subtle, which makes it perfect to use right before bed. Next in line is the Purifying Active Fluid. One of the main ingredients in this concentrate is denatured alcohol that works as an antibacterial to fight off acne and other blemishes that may appear on your skin. Like the Night Fluid, the Purifying Fluid soothed my skin and was a nice refresher before bed. And finally, we have my least favorite of the Ampoule Concentrates I tried: the Stop Stress Fluid. I was so excited to use this fluid, but all it took was one sniff to realize I wasn’t going to enjoy using it. Shale oil is the prime ingredient for this little ampoule, and trust me when I say it’s potent. The Stop Stress Fluid is supposed to work with your skin to help it respond better to stressful situations ( such as cakey makeup, oil, dirt, sweat, etc.). When applying the fluid, it stung my skin ever so slightly. It wasn’t that painful, but it was enough to make me think twice about using a lot of it. If you have sensitive skin, I would suggest staying away! Babor really knows their stuff when it comes to skincare. The Ampoule Concentrates were fun and easy to use. I didn’t have to mess with cotton balls or special tools to use them. While the Stop Stress Fluid was a no-go for my skin, the Purifying Active Fluid and the Active Night Fluid have both become new favorites. The post was brought to you by Babor, but all opinions are my own! Previous Previous post: How He Proposed: I’m Engaged!